Location, Location, Location! 2 Family Home situated on a huge 11,000+ sq/ft lot in the heart of Weymouth! Excellent opportunity for an owner occupant or investor! 2 Separate driveways! Enormous fenced-in back yard! Unit 1 features a renovated one bedroom floor through featuring a updated bathroom, formal living room, eat-in kitchen with stainless steel appliances & laundry in-unit! Unit 2 boasts an open concept livingroom & diningroom, 2 bedrooms, hardwood floors, excellent natural light & much more! 2015 Gas heating systems. Private back deck perfect for entertaining! Rare find in a prime location! 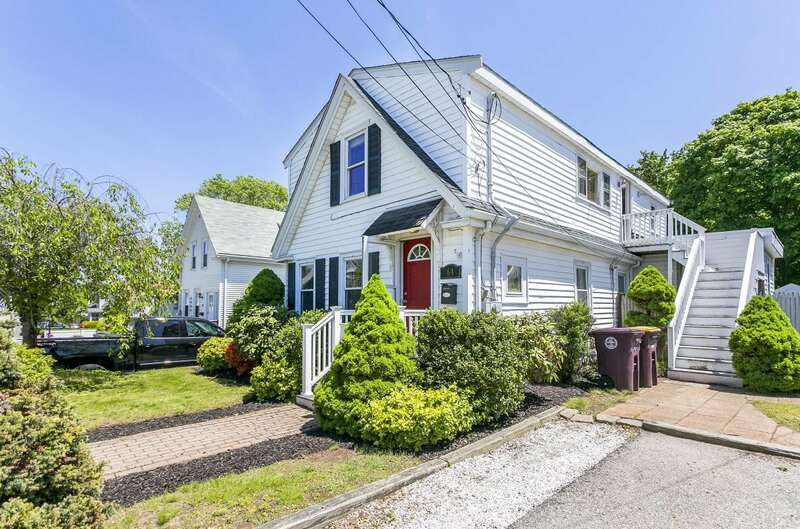 Easy access to Jackson Square, the Commuter Rail, Route 3, Whitmans Pond, and local restaurants/shops! Tremendous Value! Don’t Miss Out on this Amazing Opportunity!